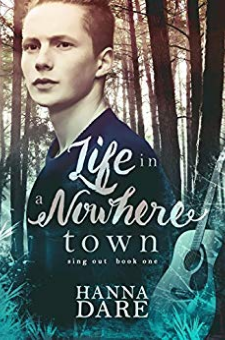 First kiss, first heartbreak, first love, first time... but not necessarily in that order.The hit reality show, Singing Sensation, promises to make its winners big stars - but all Conor Gillis wants is to get out of his small town. It's not the sort of place where a quiet, eighteen-year-old who loves the Beatles and playing guitar can expect to fit in.Conor's also pretty sure he's the only gay person in town.Well, except for one other person...Derek Folsom is the kind of bad influence parents warn you about. He's tough, rough, and always looking for a fight. He's the last person anyone would suspect of being gay, in fact he's likely to punch anyone who does suspect it. So why is he suddenly so interested in Conor?Conor's pinning all his hopes on auditioning for a TV show. It's his only chance to realize his dreams, and escape all of these confusing feelings. But will he be able to find his voice... and his true self?